Statistics are only available for the first 9 months of 2012, but they don't look much better. According to the Governors Highway Safety Association, approximately 184 motorcyclists died from January through September 2012—13 more deaths than the same time period in 2011. 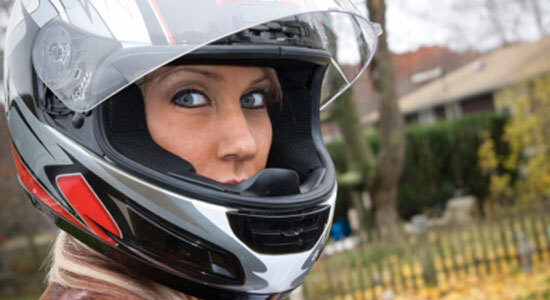 Of the motorcyclist deaths in 2012, only about half of the victims were wearing helmets at the time of the crash. Not wearing a helmet also can hurt you and your family financially. The Centers for Disease Control and Prevention reports that a motorcycle death can cost up to $1.2 million, and a serious injury can cost up to $172,000. Our law firm respects motorcyclists, and we respect a rider's right to choice. However, the statistics speak for themselves. They clearly show an increase in injuries and deaths over the past 10 years. If you don't make a habit of wearing a helmet, please consider it. We've already seen several tragedies in the Pittsburgh area this year. Mothers, fathers, siblings, children, grandparents, nieces and nephews, aunts and uncles, cousins, and friends have lost loved ones. We witness their struggles firsthand, and we want to save you that agony. Please, make motorcycle safety a priority, and have your passengers wear helmets. It's a choice, but it's one that could save your life.